As part of the acceleration of the expansion strategy of the AccorHotels group and its portfolio of international brands, its Board of Directors has decided to set up an International Strategy Committee, including former French President Nicolas Sarkozy. The Committee will focus on the development of AccorHotels’ network and brand portfolio throughout the world, as well as on the promotion of French tourism. Accor’s Board of Directors has also taken note of the resignation of Nadra Moussalem as Director, following Colony Capital’s decision to sell its shareholding in Accor. 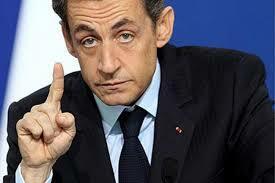 To succeed him, the Board has unanimously coopted Nicolas Sarkozy as an independent Director, as of today. This appointment reflects the ambition of the Group to pursue the implementation of its strategy and to promote both AccorHotels brands worldwide and the unrivalled French know-how in tourism. Nicolas Sarkozy will chair the International Strategy Committee whose missions and members will be further detailed by a forthcoming Board meeting. Nicolas Sarkozy declared, “I am glad to contribute to the development and the international reach of Accorhotels, one of France’s flagship companies. The success of the Group as well as the quality of its management are outstanding assets, shaping AccorHotels into one of the leading showcases of the French economic landscape”. Date : 2/22/2017 10:35:00 π.μ.